2005 seems to be a golden year for local blogshops. 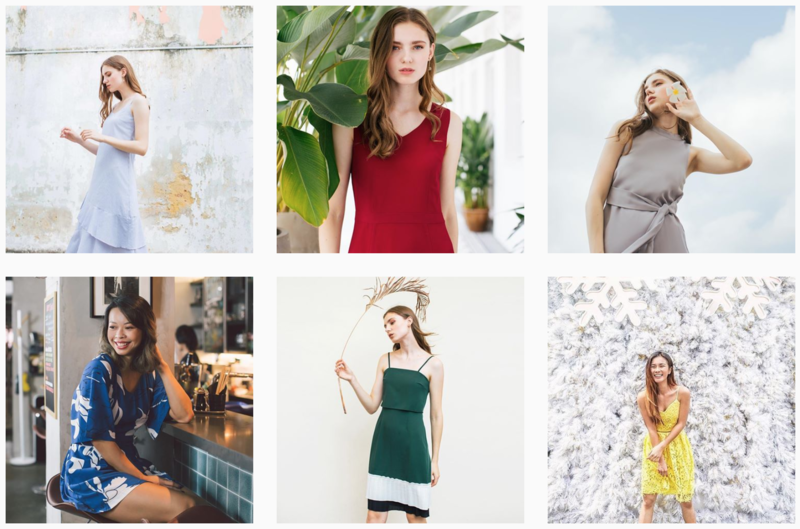 During that year, popular blogshops like Ohsofickle and Love, Bonito emerged into the scene and if you read their startup stories, you’d notice that they both established a trend of starting up with a $500 capital. But Love & Bravery is a slight exception: they started up with a more significant $3,000, but the revenue they reaped also multiplied into millions. Co-founder Eunyce Yap, 34, kickstarted the brand about a decade ago and it started off as a Livejournal shop that sells only accessories. When she was a third-year student in Nanyang Technological University, she signed up for a dressmaking course and casually started tailoring clothes. 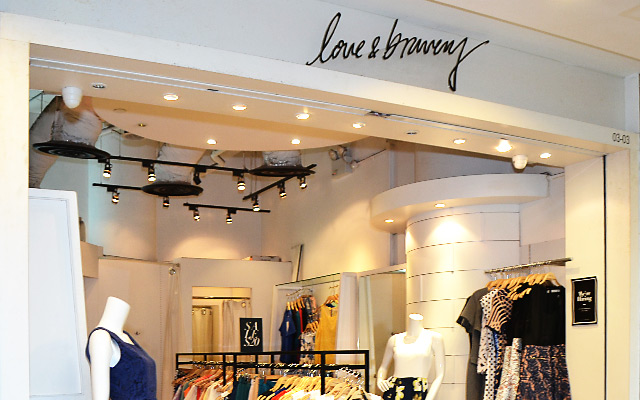 This new-found hobby naturally propelled her to expand Love & Bravery into selling apparels as well. After graduation, she worked as a management associate at a Japanese trading company but after a three-month stint, she decided to quit her $3,000/month job to delve into running Love & Bravery full-time. Sales from the apparel launches were apparently “encouraging”, which signalled a positive start. However, her parents frowned upon her decision and failed to understand why she would want to “waste [her] university education to sell clothes”. Although Love & Bravery was only about a year old then, she strongly believed that it would quickly turn profitable as she was already “making enough to pay for [her] school fees and earn pocket money“. But there was a small part of her that was worried about Love & Bravery because there were “new online stores popping up every day“. When the business grew further after two years, Eunyce found it hard coping alone so she roped in her childhood friend Joanna Lam, 32, to help run the operational aspect of the business. Prior to becoming a business partner, Joanna had helped Eunyce to model for the brand in exchange for free Love & Bravery clothes. With a small team of two, they had no choice but to wear multiple hats and “do everything manually”. They eventually moved into a ‘proper’ office – spanning 200sq feet – that doubles as a warehouse space. Although e-commerce was still at a nascent stage back then, orders kept pouring in. In fact, their clothes were selling so fast, that they were sometimes sold out within a day. To cope with the demand, they decided to automate their infrastructure which led to a “good number of complaints” from their regular customers, but they “got used to it” eventually. Change is unfortunately inevitable, said Eunyce, as they have to continually upgrade to keep up with the competitive industry. In line with this mantra, the duo spruced up their collection to go beyond casual wear and include work wear and bridesmaid dresses. Besides expanding their product portfolio, they also worked with factory partners in China to perfect their clothes’ quality and workmanship. “We dropped our suppliers from Bangkok that made poor shipments to us with unsatisfactory materials. [We now] customise our own designs, while our competitors tend to buy everything off the shelves,” said Eunyce in an interview with NTU. She added that it’s important for a retailer to satisfy shoppers, as they have the power to make or break the business. Satisfied shoppers make up our loyal customer base. When shopping online, customers can’t try on the clothes and they make purchases based on their faith in the brand alone. So if you disappoint them once, it can be hard to rebuild that trust. At the end of the day, Eunyce said that she does not want to focus on just making a good-looking dress. From a two-man team, Love & Bravery’s staff headcount has grown to about 50 staff today. To accommodate this growth, they have moved office several times to its current location at Geylang Lorong 23. The 4,000 square-feet work space comprises a reception area, conference rooms, a warehouse space for inventory, as well as its own studio for photoshoots. In terms of revenue, The Straits Times reported that they have raked in $1 million revenue in 2013 – the same year it became a GST-registered company. Revenue since then has more than doubled. 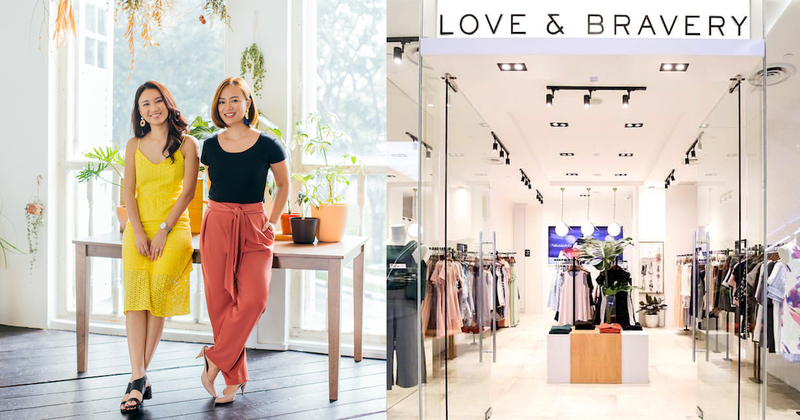 Over the past 13 years, Love and Bravery has grown to be a popular online fashion store in Singapore and the power of social media has definitely helped to propel this growth. “Being an e-commerce store meant that our customer base is largely online, so a large part of our marketing strategy is via Facebook and Instagram,” said Eunyce. As a testament to this, the brand has garnered over 46,000 fans on Facebook and almost 40,000 followers on Instagram today. With such a huge fan base, the popular brand received many requests from customers to open a physical space so they could try and feel the clothes before purchasing. This prompted them to establish their first outlet at Tampines 1 in 2010, making them one of the first few local blogshops to go offline. They were not deterred by the ‘death’ of the retail landscape and was bent on improving the shopping experience for their customers. Progressively, they expanded their footprint in Singapore, opening outlets in Bugis Junction and JEM as well. They recently closed down their Raffles Place outlet in May due to their landlord’s office lobby expansion plans. In turn, they are now looking at opening a new outlet in the heart of Singapore’s shopping district at Orchard this year. While it seems that the business is expanding at a rapid pace, it does not mean that they blindly pour their money into opening a retail space. In contrast, they conduct intensive research and put a lot of thought into each outlet. For instance, before they rented a space at Raffles Place, Eunyce would sit at a café opposite the vacant shop from 12pm to 2pm, and from 6pm to 7pm everyday, to observe the foot traffic in the area. Once they determine that it’s a good location, they will then proceed with the launch. While they are focusing on “growing strong in Singapore’s retail and online market” for now, the duo harbours hope to expand the brand internationally in the near future. Mistakes are guidelines, and they serve as experiences that grow with you. So train yourself to think critically, forecast plans, and most of all, be confident.